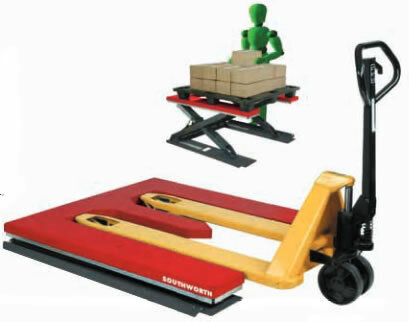 the pallet truck and roll the load into position. can be lowered and rolled out of the way. an added measure of safety. 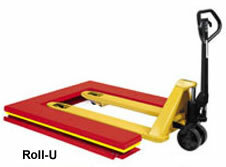 and Full Perimeter Toe Guard from your source for material handling equipment.